February is here, which means it's nearly Valentine's Day. The romantic gifts that we offer at WhereBridesGo.com are for anyone, not just brides and grooms. Browsing through our online catalog can inspire some wonderfully romantic date night ideas. We looked through our bridesmaid gifts & groomsman gifts to find a few items that would be perfect to take along on a romantic Valentine's Day date for you and your someone special. Some people might lead you to believe that spas are only for women. This is certainly not the case, and a trip together can be very relaxing and even bring you closer together. Couples massages, saunas, roman baths under waterfalls... Depending on the spa that you choose, there are a wide variety of relaxing activities that will help you both to rejuvenate and reconnect. 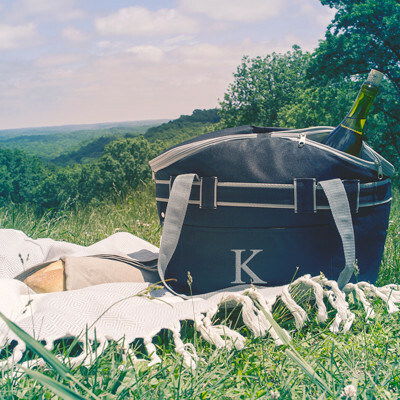 If you are lucky enough to live in a part of the world that is warm in February (or feel like taking a trip to a place like that) pack a basket full of your favorite foods, a nice bottle of wine, and a cozy blanket. After a romantic walk along a scenic trail, plant yourselves under a tree or a bluff overlooking a beautiful body of water and leisurely enjoy the afternoon together. Time it for an early dinner and catch a romantic sunset. If you can't get away from cold winter weather, clear out the living room, turn off all your electronics, close the curtains, and picnic at home. 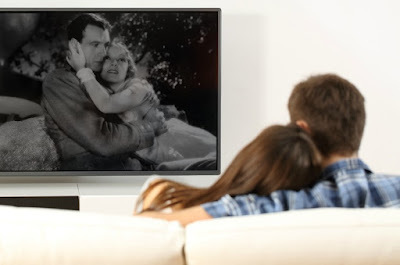 For couples that are always on the go and prefer to spend a quiet night at home together, clear off the couch, grab your favorite big blanket for two, and cuddle in for a night of romance, action, suspense, laughs... (We are talking about the movies you choose, of course!) Spend the evening together enjoying each other's company along with your favorite movie trilogy or television series that you need to catch up on. It's not about how much money you spend on each other, but how much quality time that you spend together. Valentine's Day is a single day that should inspire you to show your love for each other each and every day of the year. Whether you are planning a wedding or you already said your vows years ago, WhereBridesGo.com hopes that the above ideas will inspire you to keep the romance alive.